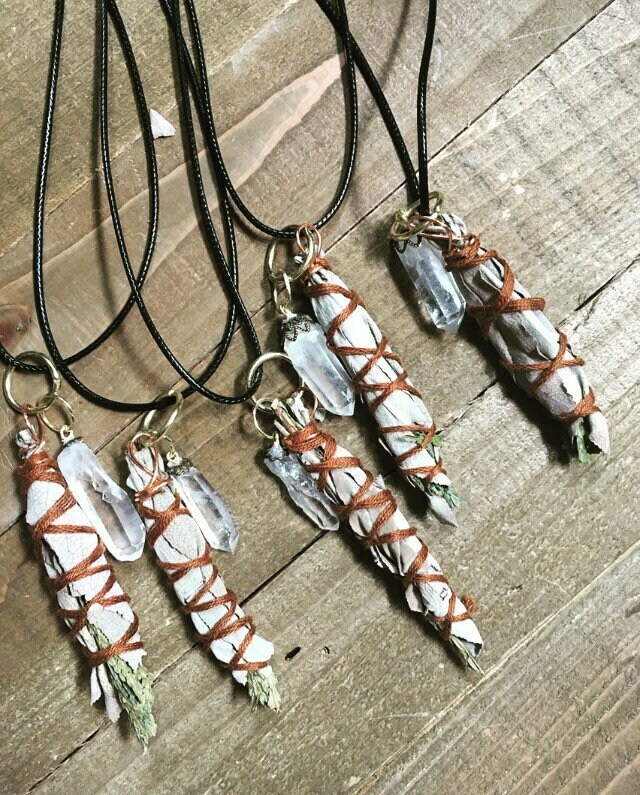 These are handmade sage pendants using White Sage from California. 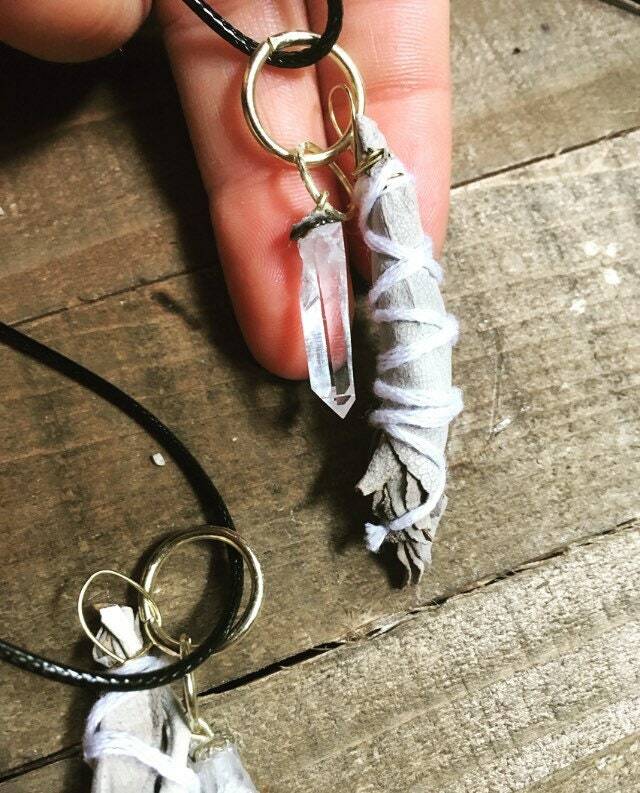 We hand wrap each pendant so each one is unique in shape and size. 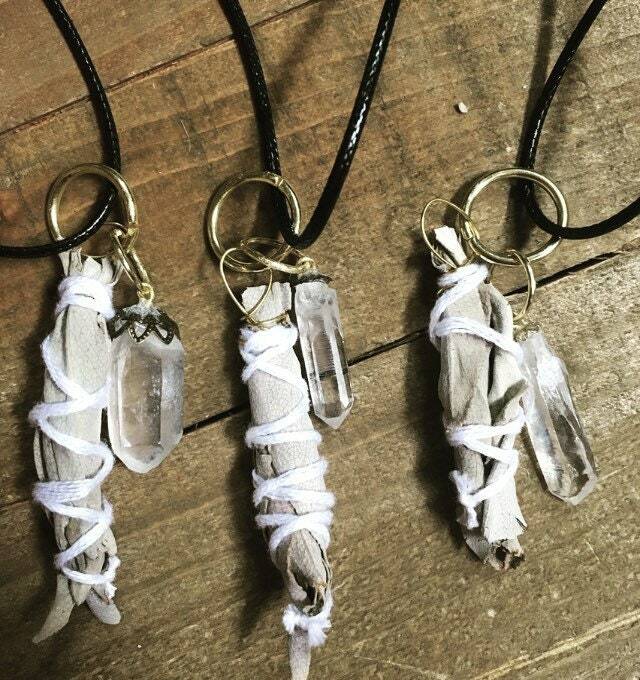 We have wrapped 4 different options so far. 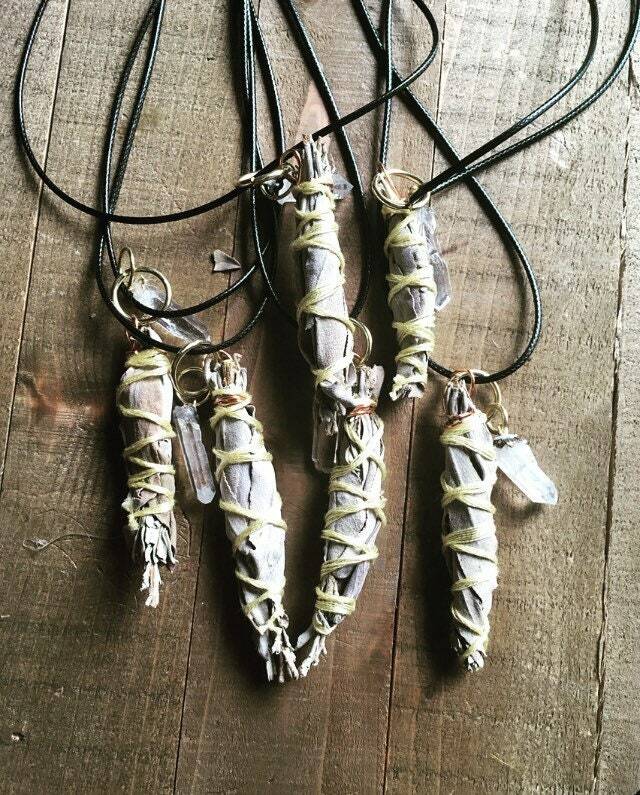 -Yellow string- White Sage and Copal resign. 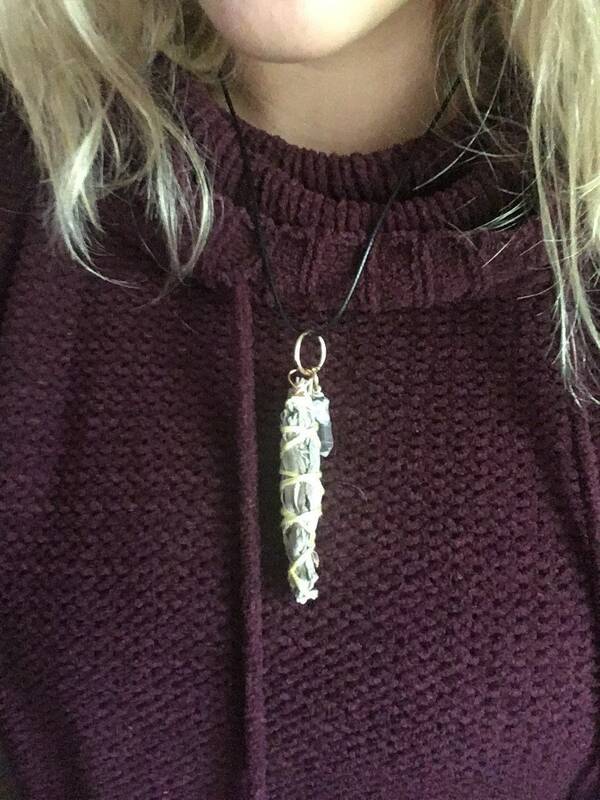 -Brown string- White Sage and Cedar. 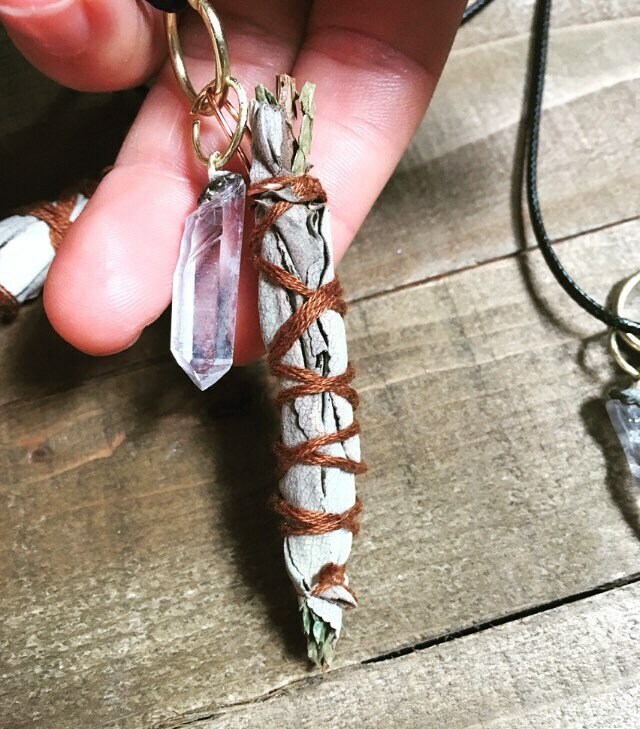 -Green string-White Sage and Sweetgrass. 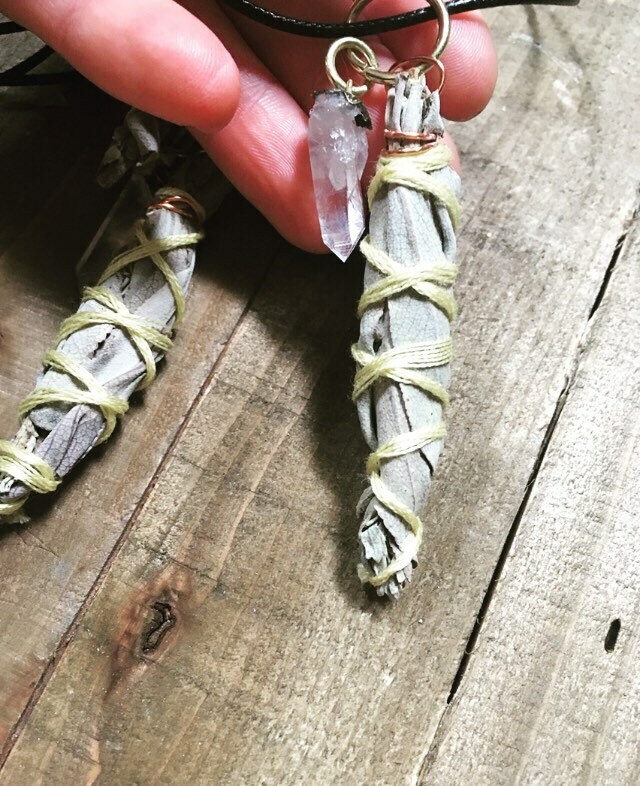 Each pendant comes with a grade AAA crystal Quartz point. 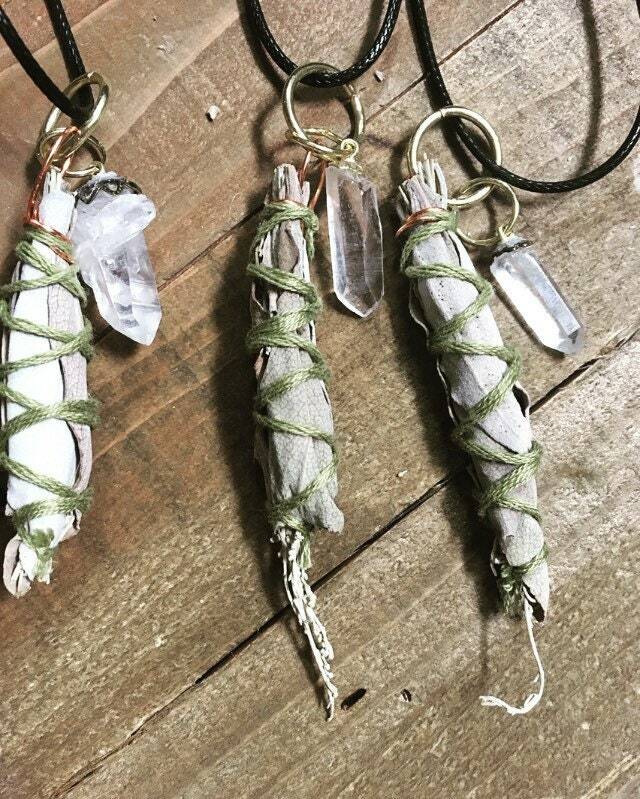 Each one unique in shape and size. 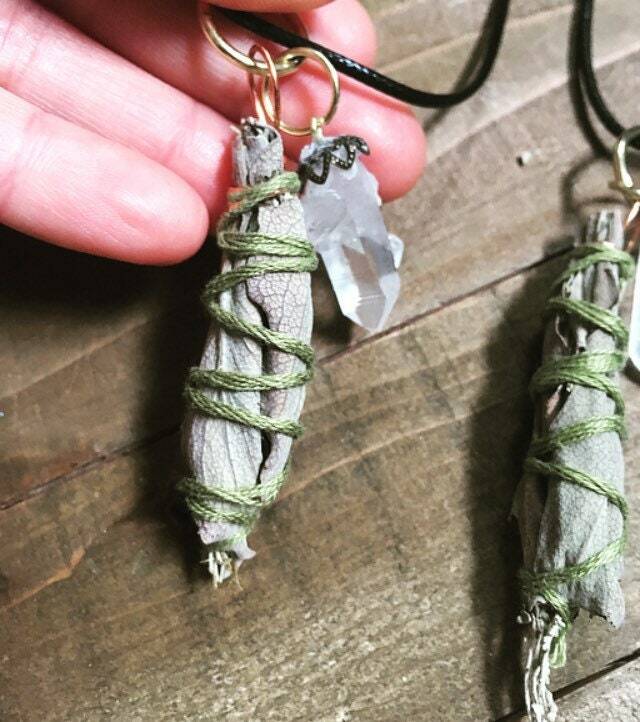 ***These are not meant to burn or to be used in smudging, only to be worn to bring a peaceful aroma to the person wearing it. ***Please note that each one is handmade and unique. They will not all look exactly like the pictures but very close to it.